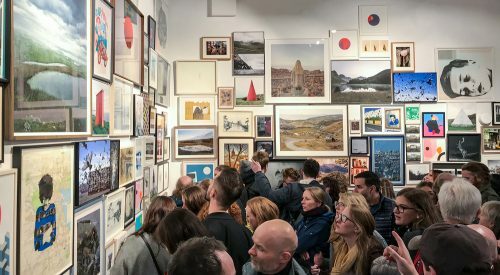 Dublin's Fresh New Print Fair. Halftone is a celebration of the printed matter in all its forms. 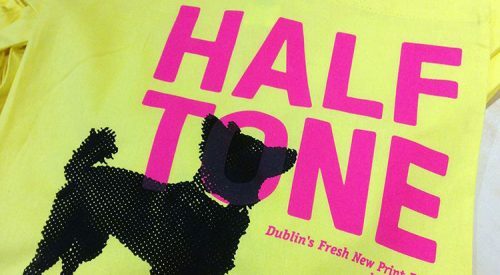 What: HALFTONE, Dublin’s Fresh New Print Fair. Where: The Library Project, 4 Temple Bar Street, Dublin 2. 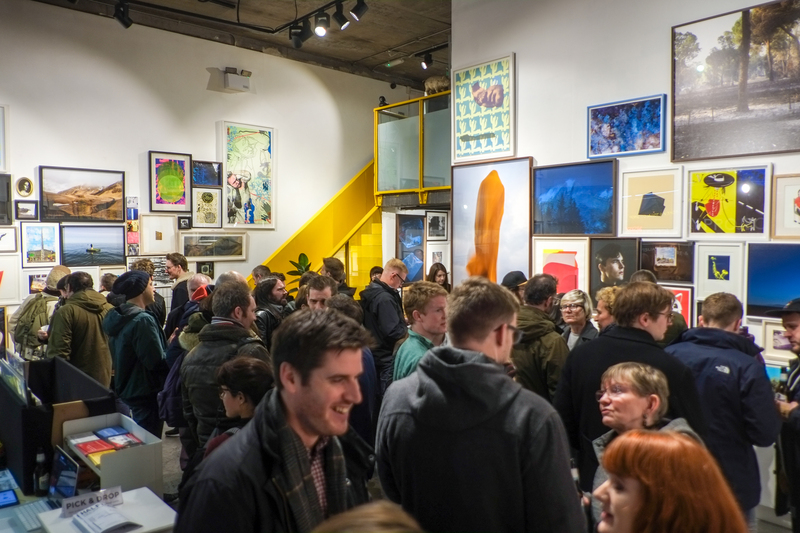 Why: To bring together artists working in disciplines whose output manifests in printed form, and to showcase the best photographic works every year. 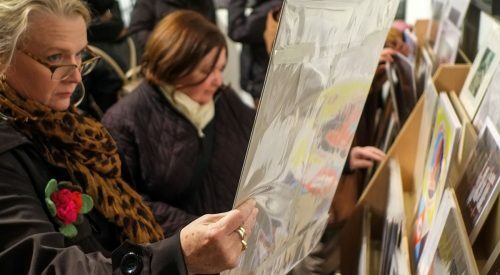 The fair format aims to motivate collecting and to excite artworks sales. Artists presented in 2018: Youri Alen, Rose Bennett, Ellie Berry, Gerry Blake, Gabrielle Bowe, Seán Brennan, Karen Browett, Molly Brown, Becks Butler, John Carroll, Wally Cassidy, Beata Cierzniewska, Elaine Crowe, Monika Crowley, Jane Cummins, Ria Czerniak-LeBov, Janine Davidson, Eamonn Doyle, Ciaran Eaton, David Farrell, Eimhin Farrell, Sebastian Farron-Mahon, Mary Fitzgerald, Vesna Gasparic, Julia Gelezova, Brian Giles, Angela Gilmour, Richard Gosnold, Helena Gouveia Monteiro, Giorgia Graf, Sean Hanrahan, Patricia Herrero, Aoife Herrity, Bryan Hogan, Stasele Jakunskaite, Jill and Gill, Ann Kavanagh, Barbara Kenneally, Billy Kenrick, Maggie Kiely, Josef Kovac, Rafal Krol, Tommie Lehane, James Lock, Jeanette Lowe, Shane Lynam, Clare Lyons, Eimearjean McCormack, Malcolm McGettigan, Emma McGuire, Jordan McQuaid, Margaret McLoughlin, Conor McMahon, Ciaran Meister, Jason Minsky, Yvette Monahan, Sharon Murphy, Ste Murray, Fintan O’Byrne, Hugh O’Conor, Iris O’Connor, Kate O’Connor, Mary O’Connor, Miriam O’Connor, Emma O’Hara, Rachel O’Regan, Barry Quinn, Luke Reidy, Sarah Roseingrave, Wojtek Ryzinski, Johnny Savage, Aoife Shanahan, Celine Sheridan, Vincent Sheridan, Linda Uhlemann, Triona Walsh, Roisin White, and Dianne Whyte. Artists presented in 2017: Adrian Long, Alex Murphy, Ann Kavanagh, Annie Potanina, Aoife Giles, Aoife Ludlow, Audrey Hendy, Billy Kenrick, Billy Mac Donald, Brian Hegarty, Brian Masterson, Bryan Hogan, Catarina Leone, Clare Lynch, Clare Lyons, Cliodhna Dempsey, Conor McMahon, Craig Carry, David Thomas Smith, Debbie Godsell, Deirdre Breen, Eimearjean McCormack, Eamonn Doyle, Eimhin Farrell, Eirin Torgersen, Elaine Crowe, Ellius Grace, Emily McGardle, Eric Davys, Gary Coyle, Georgy Daly, Gintaras Varnagys, Gregory Dunn, Helena Gouveia Monteiro, Helene Pertl, Izzy Rose Grange, Jacob Stack, James Forde, Jamin Keogh, Jando, Jane Cummins, Jane McGarrigle, Jeanette Lowe, Jill & Gill, Joanne Betty Conlon, John Carroll, Johnny Bugler, Jordan McQuaid, Josef Kovac, Julia Gelezova, Kelsey Lennon, Kevin Griffin, Leah Dowling, Liam Gough, Lidija Ivanek SiLa, Luke Fallon, Lydia Hughes, Malcolm McGettigan, Mary O’Connor, Megan MD Shelley, Molly Brown, Niamh McNally, Olga Danilova, Paul Carroll, Rachel O’Regan, Rafal Krol, Ria Czerniak-LeBov, Robert Ellis, Roisin McGuigan, Roisin White, Sarah Eva Manson, Sarah Flynn, Sean Hanrahan, Shane O’Driscoll, Simon Martin, Sophie Hughes, Sophie Mitchell, Stasele Jakunskaite, Steven Nestor, Terence Wright, Teresa Kilker, Tiberio Ventura, Triona Walsh, Vaida Varnagiene, and Victoria J Dean. Artists presented in 2016: Áine Atara Mac Dermott, Aine Scannell, Alisha Doody, Anne Warter, Aoife Giles, Audrey Hendy, Billy Mac Donald, Black Church Print Studio, Ciaran Eaton, Conor Horgan, Conor McMahon, Conor Nolan, David Farrell, Deirdre Breen, Dianne Whyte, Eamonn Doyle, Eimear Gavin, Ellie Berry, Fiona Hackett, George Voronov, Gillian Henderson, Hajnalka Oltyan, Helen Gallagher, Helene Pertl, Hue Hale, Jacob Stack, Jamin Keogh, Jane Cummins, Jennifer Comerford, Joanne Betty Conlon, John Busher, Johnny Bugler, Jordan McQuaid, Julie & Owen McLoughlin, Kate Ó, Kevin Griffin, Maeve Coulter, Malcolm McGettigan, Mary Hamill, Mary O’Connor, Myles Shelly, Omin, Orla Goodwin, Paul Regan, Paula Barrett, Philip Gerald, Rabie Al, Rafal Krol, Raymond Henshaw, Ria Czerniak-LeBov, Sean Hanrahan, Shane Lynam, Shane O’Driscoll, Sophie Mitchell, Sophie Ridgeway, Steven Maybury, Steven Nestor, and Tamara Melly. Artists presented in 2015: Aaron Smyth, Aidan Kelly, Aine Finnegan, Alex Synge, Camilla Fanning, Ciara Chapman, Clare O’Connor, Conor Nolan, Crona Gallagher, David Thomas Smith, Eamonn Doyle, Eimearjean McCormack, Ethna O’Regan, Fergal O’Mahony, Fiona McDonald, Fiona Quill, Frank Abruzzese, Gavin Beattie, Gerhardt Gallagher, Gill Thorpe, Gillian Henderson, Holly Pereira, Jacob Stack, Jane Garland, Jane Glynn, Janine Davidson, Jennifer Farley, Johnny Bugler, Julia Gelezova, Julian King, Karl Leonard, Kate Nolan, Katie O’Neill, Kelsey Lennon, Lee Welch, Leo Boyd, Lucy Turner, Malte Kebbel, Mandy O’Neill, Margaret McLoughlin, Marie Varley, Mary O’Connor, Miriam O’ Connor, Neal Davis, Niamh Flanagan, Orla Goodwin, Patricia Herrero Ferriol, Patrick Hogan, Paula Barrett, Pauline Clancy, Peter Binder, Rory Duckhouse, Sarah Eva Manson, Seamus Sullivan, Sean Breithaupt, Sean Hanrahan, Serena Kitt, Shane O’Driscoll, Sinead Dinneen, Sophie Behal, Sophie Mitchell, Stephane Bruchet, Sylvia Hemmingway, Tim Kovar, Tomasz Knapik, Vaida Varnagiene, Victoria J Dean, and Yvette Monahan.